The popularity of DNA and geneology tests and apps is a big indication that people are interested to know where they came from. We all have different reasons for wanting to know; many simply want to know what genetic predispositions they may face as they age, or have children. More of us are curious because we define ourselves by our stories, our backgrounds, and the people who came before us. 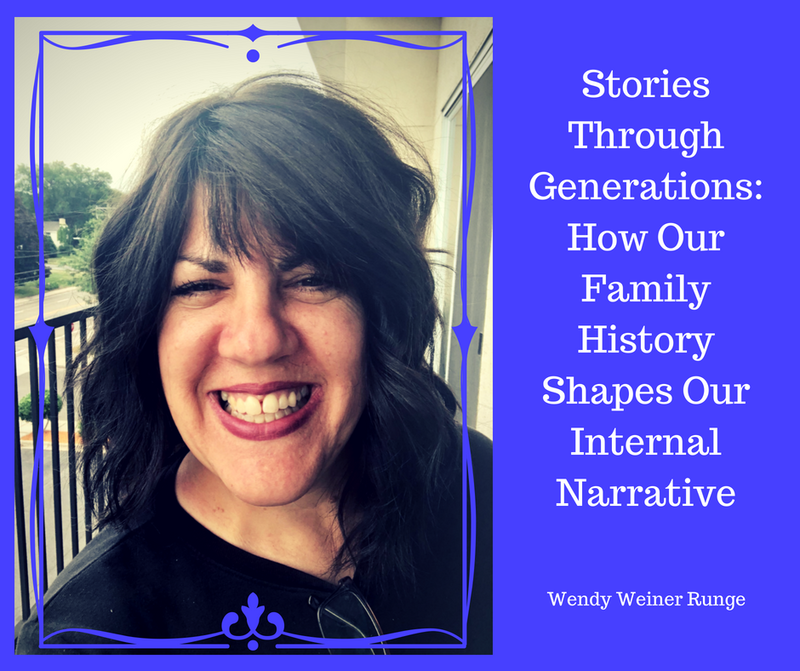 As a child, I remember sitting at our dinner table and hearing stories of our grandparents, great aunts and uncles, and distant cousins from the past. Some stories were funny, others were fascinating in their unfamiliar use of language and a time so different from ours. In our family, the narrative was that we were from Russia on both sides, and that our great grandparents all came from a similar part of the world. When I heard stories of my great-grandmother coming to America with her three daughters, her husband left behind for health reasons, and living with her brother just scraping by, I have a vivid picture in my head. And when I doubt myself or feel less than brave or strong, I think of that great-grandmother and her resilience, perseverance, courage and resourcefulness. It gives me comfort, knowing that DNA was passed on to me, and that if she could survive intense hardship and grief, so can I.
Wendy Weiner Runge shares other people's stories through film as a producer. Her recent project, R4CH43L, is a Holocaust story with a tragic ending, as most are. What I wanted to know was how her family history shaped her perspective in telling the story of R4CH43L, which is not her own family's story. I look forward to hearing your thoughts on this conversation. 💥Crossing To Existence, ⛓Collecting The Hidden, and 🔥Ceasing The Darkness. If her stories resonate with you, and you're interested in learning more about what she does and how she magically creates the world around her, connect with her on LinkedIn, and consider supporting the production of this important film, R4CH43L.